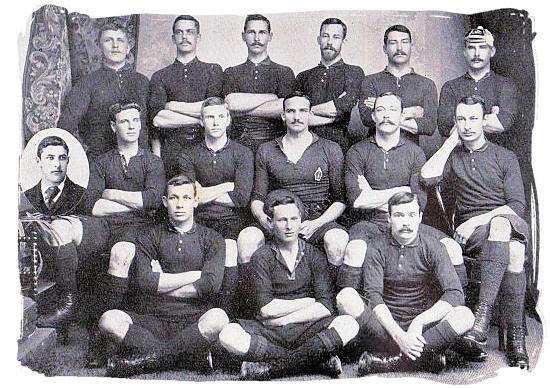 When exactly the history of rugby begin? Playing games with a ball has been a favorite pastime around the world for many centuries. 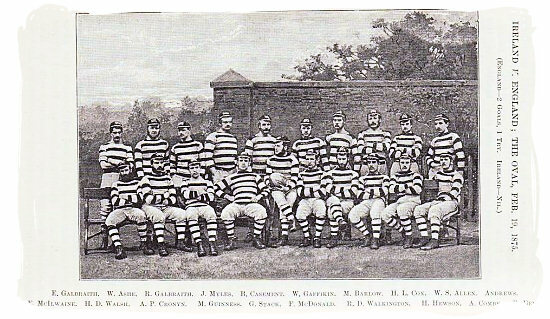 The development of football (soccer) and rugby as we know it today took place in England during the 19th century. From the large variety of ball games, two distinctive patterns developed the handling type of play and the kicking type of play. Very soon the kicking game became the favorite and started to dominate the ballgame scene as the sport of football. Initially all this happened in England at private college level, where sport and games were looked upon as key elements in the development of the pupils. Competition between the colleges across England was fierce in those days. Status and fame was important and depended to a large extend on their success in sport. Winchester, Harrow and Rugby were three colleges where ballgame followers were divided between those favoring the handling style and those preferring the kicking style. Leading the way among the handling enthusiasts was Rugby College in central England. 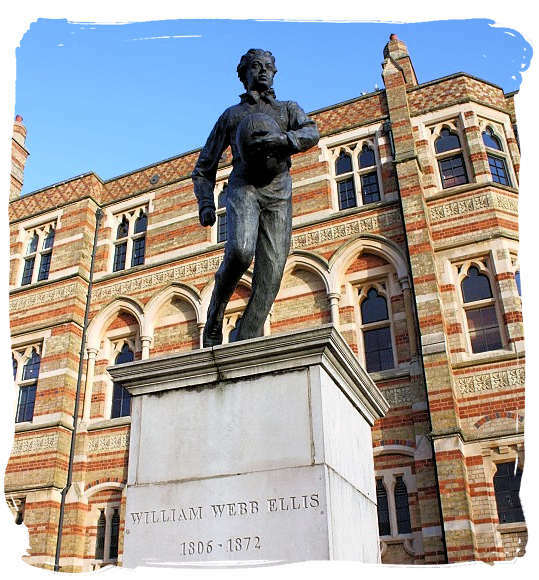 Legend has it that it that in 1823 a pupil named William Webb Ellis picked up the ball and ran with it "showing a fine disregard for the rules of football". 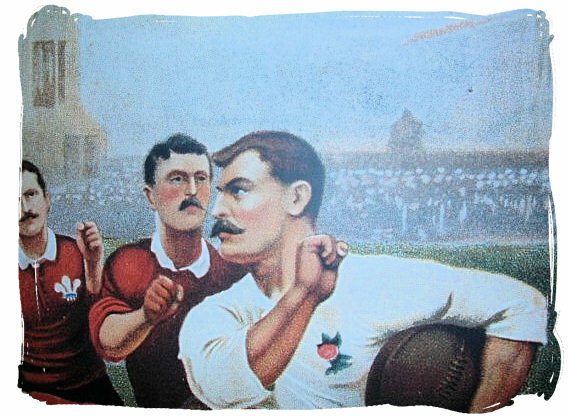 This is widely regarded as the moment that the game of rugby football was born although the accuracy of the story is disputed. Now you know who the World Cup that is presented to the winner of the Rugby World Championships every four years, was named after. It is called the William Webb Ellis Cup. The same goes for the Ellis Park rugby stadium in Johannesburg. South Africa is the current World champion, having won the Rugby World Cup Final in 2007. 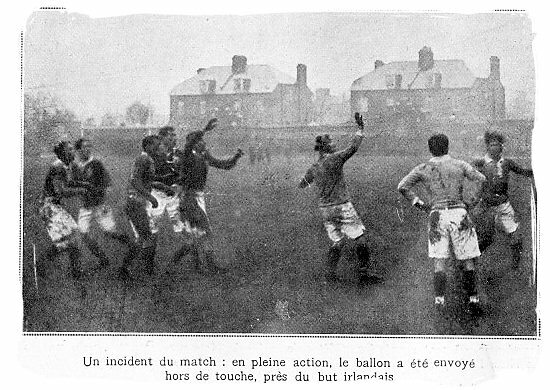 The old boys of Rugby College were of course enthusiastic in their spreading of Rugby’s version of the football code rules adopting the handling style of football. Confusion reigned as to which style of ballgame schools would or should play when they met. 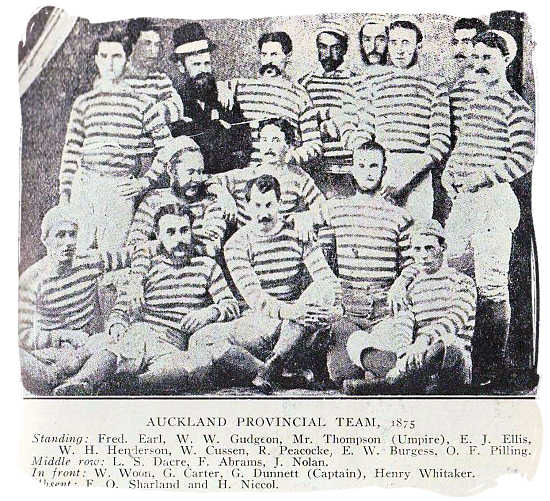 A meeting was called in 1863 to try and find a way to unify both style of play into one single style. The followers of each playing style however could not find each other, with the result that both ballgame styles each went their own way, the one as Rugby Union football (rugby) and the other as Association football (soccer). Spread across the globe by the colonisers and entrepreneurs of the British Empire during the 19th century, they have become world renowned sports as we know them today.